Posted by admin in Eyebrow Waxing at home !! Who doesn’t love a great eyebrow waxing? Not only do the brows have a cleaner look, it can make a huge difference balancing and complementing our other facial features. Buy waxing kit. Compare waxing kit prices. Have enough hair. Eyebrow hair needs to be at least 1/4" long. Pull or pin-back hair. You want to see your eyebrows clearly, and not get any wax in your hair. Trim eyebrows if necessary. Brush your eyebrows straight up, and if there are any hairs longer coming out of your natural shape on top, then you need to trim. Use a fine-tooth regular comb or an eyebrow brush to push eyebrow hair up, and then just trim what is outside the shape with small scissors (preferably eyebrow scissors). If you have long or very bushy eyebrows, they may need more bulk removed, see the step-by-step to trimming brows. Cleanse eyebrow area. Use pre-wax cleanser on eyebrows and surrounding skin, then apply a light dusting of powder with a cotton swab. Don’t over do it on the powder, more isn’t better. Wax on. Apply wax evenly in the direction of hair growth using applicator (wooden stick) to the hair shaping the underneath of your brow. Be careful! You want enough wax to thoroughly cover hair, but not so thick that the wax seeps onto hair that you don’t want to remove. Cover with strip. Apply strip in the direction of hair growth, leaving some leftover strip at the end not attached to hair like a tab (say hair grows from left to right- leave leftover strip on right side). Press and firmly smooth hand over strip in the direction of hair growth a couple times, to ensure wax is attaching to hair and has slightly cooled. Wax off. Grasp onto the end of strip that isn’t attached to hair. Hold skin taut with one hand, and remove strip in opposite direction of hair growth in one quick pull, all the way to the other side. Don’t pull up, which might be your natural inclination. Press hand down on skin to help relieve some of the pain, after strip is removed. (Sounds silly, but it works!) If a little bit of wax with hair remains, simply put strip back on hair and pull off. Repeat. Continue with steps 7-9 for the underneath of your other brow, the middle of your brows and on top of your brows (only to clean up stray hairs outside the shape). Clean up missed hairs. 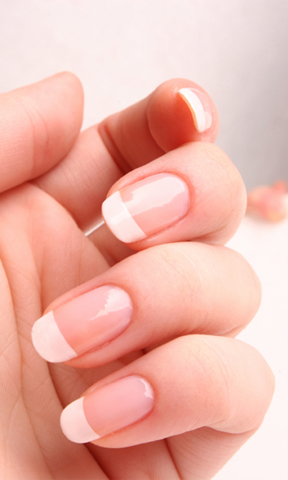 Use tweezers to remove any hairs missed by the wax, and fine-tune the shape. Clean wax off skin. Remove any remaining residue, with wax remover, baby oil or petroleum jelly. Soothe skin. Apply after-wax lotion, or an aloe based lotion or gel. No-heat wax kit – do not use hot wax! All of these items are readily available at drugstores. Now let’s get started! Step one: Brush your eyebrows, going from in-between your nose outward. This will get all your hairs in their rightful places. Using your white pencil, trace the general outline of your brows. This will give you a natural shape to work with. Any hair that falls outside of the lines will be removed. Some guidelines: Your eyebrows should start right at the inner corner of your eye. Hold your white eyeliner pencil vertically from the corner to help find exactly where to “start” your brows. The arch of your eyebrow should be approximately above your pupil. Again, hold the eyeliner pencil vertically to double check the arch. This should be the “peak” of your eyebrows. Step two: If your skin is extremely sensitive, rub an ice cube above, below, and between your eyebrows for a few minutes to numb the area. Most people do not need to do this – eyebrow waxing is a little painful, but only for a few moments. Following the directions on your wax kit, thinly spread a layer of wax on the area in between your eyebrows. Be very careful not to get any wax on any part of the hairs within the outline, because it could cause unwanted removal. Step three (the painful part): Stretch your skin taut with one hand. Press the waxing strip (should be included in any standard waxing kit) across the wax area. Rub firmly to make it stick. Then, with one hand still holding skin taut, rip off the strip in the direction of the hair growth. When you’re doing in between your eyes, pull upward. You did it! Now, spread a thin layer of wax below your brow outline. This is most likely to be where the most hair will be removed. Press your waxing strip firmly on the wax. When you are doing the top or bottom of your brows, pull toward your ears (this helps to prevent ingrown hairs). Rip! Did you get all the hairs? If not, use your tweezers to get those stubborn few that refuse to budge. Now it’s time to do above your brows. Some people do not wax this part, usually because the shape is already natural looking. If you are trying to make your brows thinner than their natural shape, remove more from the bottom of your eyebrows, NOT from the top! Continue these steps until all hairs outside your white outline have been waxed. Rub an ice cube on the areas you have waxed to help “calm” the skin. Maintain your eyebrow shape with regular tweezing, or let your hairs grow out and re-wax about once a month. Do NOT wax eyebrows if you are taking Accutane. Read: Waxing Precautions & Warnings for the full list. Wax your brows in front of a large mirror (not hand-held) so you can see clearly. Practice using the wax on a small part of your body, like your arm so you get the feel of it. Always test small amount of wax on hand before waxing eyebrows, to make sure it’s warm, not hot. If you’re worried about pain, apply a numbing spray (compare prices) to a cotton swab and then to eyebrow area. Make sure not to get directly in eyes! Be extremely careful when applying the wax near your eyes with an applicator. Though not my favorite, wax-on rollers are safer to use for eyebrows because the wax is less likely to drip into the eyes. Posted by admin in Leg waxing at home !! Do you like the results of a leg wax, but not the expense? We’ll show you how to wax just like the pros. Don’t expect waxing yourself to be as easy as it looks, but with a little time and effort you can get smooth legs without the high professional price tag. 1. First choose your wax. There are many kinds on the market and you will need to learn a bit about them. Look for customer reviews to see how each product performs. As a beginner, choose a wax that can be applied cold or heated in the microwave. You may also want to try pre-waxed strips. For your first few times, buy small amounts of different styles to see which works best for you. Try not to invest too much money in your initial purchase, until you know what style or brands you prefer. 3.The very first time should be considered a test. I recommend starting with your ankles — they are easy to reach, not too tender, and the best part: ankles are hard to shave well, but your waxing results should be splendid. Apply your waxing product according to the directions in a small patch of skin. This allows you to test for possible allergic reaction. If you are testing more than one brand or type, you can try a small area with each of them. 4.Now is the moment of truth. No matter what type of wax you are using you will make three general movements. Apply the wax or strip. Rub the strip or allow hot wax to cool. Rip the wax or strip straight backwards toward your leg(not pulling it away from the skin, but back towards your leg). 5.It will hurt! Not much at first, you will probably find the first strip doesn’t hurt as much as expected. But that is just the shock! It will sting a bit, and the follicles could get a bit swelled giving a red dotty rash or "chicken skin." Immediately after ripping the strip, put gentle pressure on the area. There should be no bleeding if you did it right, but sometimes even experts can get a few bits of skin. If this is your first test, stop after one or two strips of each kind to watch for allergic reaction. Enjoy your smooth ankles that don’t have to be shaved for over a month. Use some aloe gel to remove wax buildup and sooth skin. 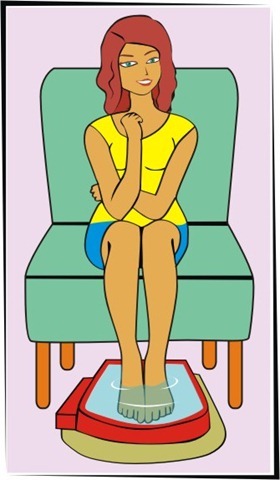 If it is your second time and you know you have a good wax for your skin type, you will continue to work your way up your legs, applying wax, waiting and then stripping. It is fun! Continue until you are uncomfortable with the stinging, then stop and work some more another day. Eventually, with plenty of practice you will be able to wax your legs easily at home, and consider moving on to other more intimate parts. Like your armpits! Happy waxing. A dry skin problem can be uncomfortable and even maddening. Your skin might feel tight and painful; it might look dull or red or flaky. Worst of all is the itchiness — the sort of overwhelming itchiness that makes you feel like you’re infested with fleas, that keeps you awake at night, miserably raking your skin with a back scratcher. Mix 2 tablespoons honey with 2 teaspoons milk. Smooth over face and throat. Leave on for 10 minutes. Rinse off with warm water. Mash apricots, mix it with warm olive oil to form a paste. Apply it on your face and leave it for 10 minutes, then wash off. You can make a lotion at home by mixing some pulp of apricot, cucumber, banana, mango, avocado or grape or green tea leaf or honey to cold cow or goat milk. This remedy works well for the whole body. Oatmeal heals and soothes extremely dry skin. Beat an egg yolk and mix well some oatmeal into it. Apply this mixture on your face and hands. Wash after 15 minutes. Mash a ripe banana and apply it on your neck and face..leave it for sometime and then wash the face from lukewarm water.This is the best dry skin sure. Mix lemon juice and olive oil. Apply to cleansed skin. Then leave it on for 15 minutes and rinse with warm water. You can finish with a spray toner and moisturizer if you like. * Take out the excess water out from the grain rice. * Blend the grain rice finely with blender. * Squeez the lemon in the blended grain rice. * Mix well and put in freezer for 30min. * Use it for atleast 30min everyday. 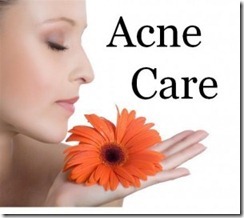 *For around 1 week you will able to see the different depending on your acne. Face mask- Separate the yolk from an egg and take the white part. With it, mix 2 tablespoon clay/kaolin, 1 tablespoon oats, 1 tablespoon cornflower and enough rose water to make a smooth paste. Add some essential oils like lavender oil and/or juniper berry oil. Mix well. Apply all over the face and avoid eye area. Let dry. Rinse after 20 minutes. Enjoy your fresh, new, soft, oil-free skin. 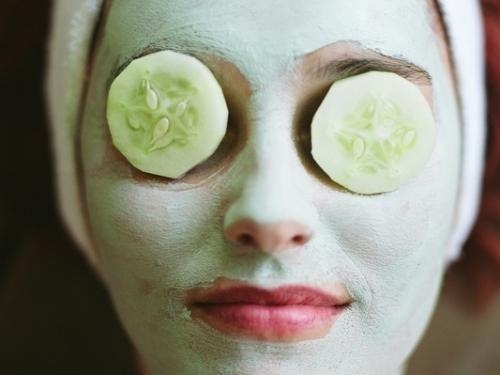 Clay mask- Mix 2 tablespoons of green clay with 2 drops of lemon juice, 1 tablespoon of honey, 1 tablespoon of plain yogurt and 2 drops of lavender oil. Add water sufficient to make a creamy paste. Apply all over the face and neck areas leaving the skin around the eyes. Let dry. Rinse with lukewarm water. 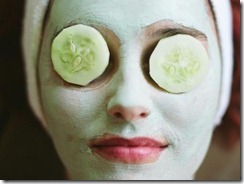 Potato and cucumber slices- Close your eyes and put 2 slices on top of the eyelids. The natural juices remove dark circles around the eyes. Mix the mint juice and turmeric powder and apply it for affected area and stay it for 15 minutes then wash the face with lukewarm water. Warm honey and apply it on the Face and wash it after 20 minutes. mix the paste of tender neem leave and turmeric powder and apply it on the affected area. Garlic Juice with 3 parts water is an excellent cleansing agent. Raw garlic applied ( rubbed) on the face can make persistent pimples disappear without a scar with repeated applications. The external use of garlic helps to clear the skin of spots, pimples & boils. Wash your face twice a day in warm salty water. This should leave your face oil free without aggravating the acne. A simple pimples home remedy. Extract juice of one lemon and mix with equal quantity of rose water. Apply this mixture on the face and let it stay for about half an hour. Wash the face with fresh Water. About 15 days application helps cure pimples and reduces blemishes and scars. 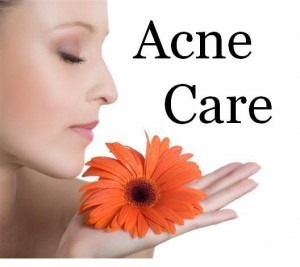 Aloe Vera juice applied twice a day can greatly speed up the healing of acne lesions. Loss of moisture in lip skin causes chapped lips. The loss of natural oils may happen due to exposure to sun, cold dry winds or even repeated licking. Chapped lips are dry, red and painful. They may split and bleed causing immense discomfort. Lips also are reflection of your good health. People suffering from Anemia too have lighter shaded and less supple lips. If you are eating a balanced diet then you might never face a bad lip problem at all. Including food that contains Vitamin A, E, B-carotene like carrots, strawberries, tomatoes, etc must be eaten daily on regular basis. Ensure your body is not deficient in B vitamins, iron or essential fatty acids. These deficiencies can cause scaling of lips and cracking of lip corners. Take a multivitamin/mineral supplement after consultation with your physician. Hydrate your body by drinking plenty of water. Dehydration can cause dryness of lips. Increase your water intake during winter to keep your lips look fresh. You can also humidify the rooms to deal with winter dryness. Rule out allergy to lipstick dyes. If in spite of water intake your lips seem dehydrated, apply cool wet cloth to hydrate lips. Also try to seal in the moisture with a lip balm. Apply lip balm every hour or two to treat dry lips and to keep them healthy. Use balm with spf of at least 15 to save your lips from sun damage. Don’t lick your lips, it will cause more chapping. Licking lips doesn’t moisturize them. Lip lickers also tend to be lip biters. Biting lips removes their protective covering which causes further drying. Some people are allergic to flavoring agents in toothpastes and mouthwash. Check with your physician if that could be your problem. Creamy lipsticks can act like balms and prevent your lips from chapping. Avoid using lipsticks that can dry out your lips. Use a soft toothbrush to softly buff your lips to remove the deposit of dead cells that will cause more drying and flaking. Chapped lips are also susceptible to infections. Apply over-the-counter antibiotic ointment to avoid infection. If your chapped lips are due to drooling in the night, you can use zinc oxide ointment that acts as a protective agent. You can also try applying clarified butter or milk cream before going to bed for a few days. Other remedies that you could try are – rub a slice of cucumber on your lips, apply neem extract, and use aloe vera gel. A saline bath is also seen to help some people. Vitamin A is also important for repair of skin. Ensure that your diet includes vitamin A rich ingredients like carrots, tomatoes, green leafy vegetables, whole grains and legumes. You can also have a vitamin rich juice made up of 1 tbsp. of water cress, carrot and spinach juice, 2 tbsp. wheat germ oil, one glass of tomato juice, and 1 tbsp. of nutritional yeast. Your feet are multifarious structures, which may reflect your general health and comfort. Symptoms such as persistent pain or soreness are warning signs. If, for example, you neglect a painful joint, it can deteriorate and become acutely painful. Then you may start walking badly to avoid the pain and that can lead to more serious postural problems. Put all these ingredients into a dark colored bottle and shake it well. As and when you require rub into the feet and heels. Store in cool dry place. This recipe does not contain preservatives and requires refrigeration. Shelf life is approximately one week. Make and use these simple natural foot care products at home and they will keep your feet healthy and beautiful. Mix all the ingredients together and make a paste of it. Do not blend too much as the strawberries have a lot of water and this will make the paste too watery. Massage it onto your feet, rinse off and dry your feet. This foot care product has no preservatives and has to be refrigerated. Shelf Life is about one week. Get a bowl large enough to soak your feet with water. Fill the bowl with hot water, but make sure that the water is not burning hot or you will end up scalding yourself. Add about 1/2 to 1 cup of Epsom salt and 1/4 cup baking soda to the hot water. You can add a few drops of your favorite bath gel as well, if you want the fragrance. Now, soak your feet in the water for 10-15 minutes or until the water gets cold. Then, pat your feet dry, using a soft towel. The next step is exfoliation, using a scrub, to remove the dead skin from your feet. Use an apricot based scrub, apply it to your feet and rub gently. Now, take your scrub brush and massage your feet with it, in circular motions. This will help the dry skin get loosen. You can also use pumice stone for scrubbing your feet. Begin at the toes and rub the stone against your feet in a circular motion. Then, rinse your feet using warm water. Pat them dry using the towel. After you are done with cleaning and scrubbing, apply some petroleum jelly or moisturizing lotion generously on your feet and wear socks. This will help your feet absorb the moisture. For best results, the procedure should be repeated every week. Twice a week will give you the best results. Look at your hands now and tell yourself what you see?Hands tells everything about yourself, how you live your life and love your body.. Sometimes we forget to take care of our hands. Through we use our hands to do all the work inside and outside the house we seem to pay very little attention to taking care of them. 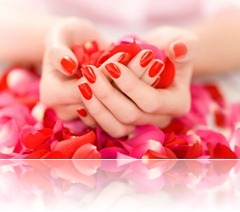 Our hands come in contact with water, chemicals, is subject to heat and cold, we work with our hands in the garden etc. all this puts stress on the skin of our hands. The first signs of aging are visible on our hands. Here are a few ways in which you can take care of the skin of your hand. (1). Thoroughly mix 1 teaspoon of honey and 3 tbsp of unsalted butter. Add 1 tbsp of strong herbal infusion. This will make a very rich cream. It will take a while to absorb, but leave your hands silky and smooth. 3 1/2 – 4 oz of an herbal infusion or rose water. (2). Moisturize your hands as many times as you can in a day. Dry skin looks wrinkled and can easily be damaged. (3) In a bowl, put an ounce of honey, the white portion of an egg, one tsp of glycerin and some barley powder. Mix the ingredients well and apply on clean hands. Let the paste sit on your hands for a few minutes and then wash off with water. (4) Mashed potatoes (with milk) will make a great hand mask. (7) you have rough skin on your hands, this recipe will surely prove to be handy. Take out the juice of one tomato and one lime and mix well. Add 2-3 tbsp glycerin to it and massage your hand with the mixture, for 3-4 minutes. Wash off with warm water and dry thoroughly. 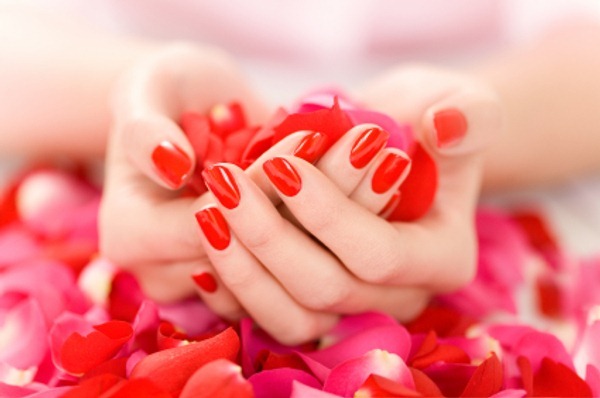 Before using any homemade manicure recipe on your hands, make sure to remove the nail polish, if you have put on any. Always make sure to apply a hand moisturizer after your manicure in complete. It will help give extra moisture to your hands. In India, Threading is the most common method of trimming, shaping and beautifying the eyebrows. It is one of the ancient methods that originated somewhere in Arabia and then in South Asia. A very carefully done procedure using a thread and the artistic hands. It needs a special skill to twist the cotton thread over the eyebrow hairs with delicate pressure, and correct angles to give it the desired shape. Its harmless to even the most sensitive skin. Its much comfortable and effective then tweezing. If you haven’t tried Threading yet, we suggest you visit any Indian beauty salon or parlor in nearby area and get yourself acquinted with Threading procedure. How to Get Rid of Black Marks on the face? I am a 20yr old girl, and my skin type is dry. I have some black marks around my mouth, which makes me look ugly. Please suggest any home remedy to get a clear glowing skin. Masur Dal and uncovored seeds of watermelon in equal quantity then make a paste in cow milk then apply to the affected area. Isn’t that the compliment all of us want to hear? Isn’t that the most interesting person who says so…well, you can hear that too, and you need not spend a fortune to do that. Forget all the skyrocketing high price cosmetics and products to soothe you and rejuvenate you. Try some of the natural and simple methods to revitalize your skin, your charm and your beauty. a mixture of vaseline and honey. Apply this mixture about three times a week. washing. This will delay onset of age-spots. sure that it works the way you want. and low fat milk. Drink this for a few weeks. setting the hair will last longer and make your hair look beautiful. scalp. Rinse your hair after 5 minutes. last rinse and towel dry your hair.